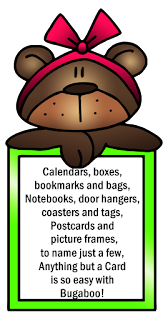 Good morning, today is New Release Day at Bugaboo and Jodie created a handsome Deacon! He is actually holding a skull flower but I chose to put a flower over the skull, worked perfectly! 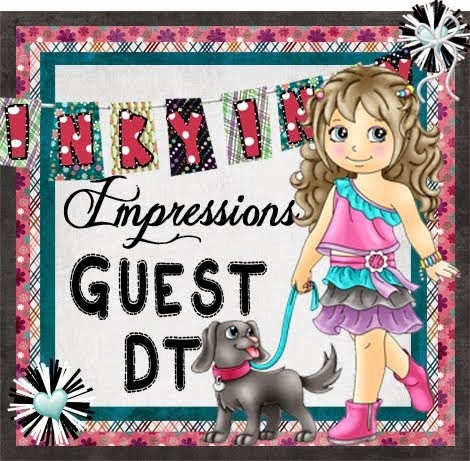 Drop on by Catch the Bug and check out what the other DT created and then go shopping! All new images are 50% off for the entire week! 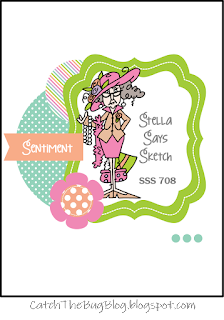 Good morning today starts a new challenge at Catch the Bug Stella Says Sketch! 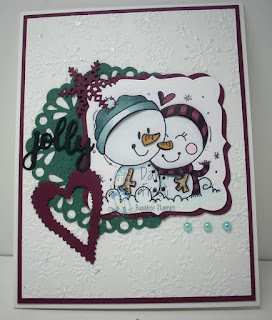 I chose to make a Christmas Card with Bugaboo's Snowman 002 Couple. I coloured them with copic markers and added lots of stickles! 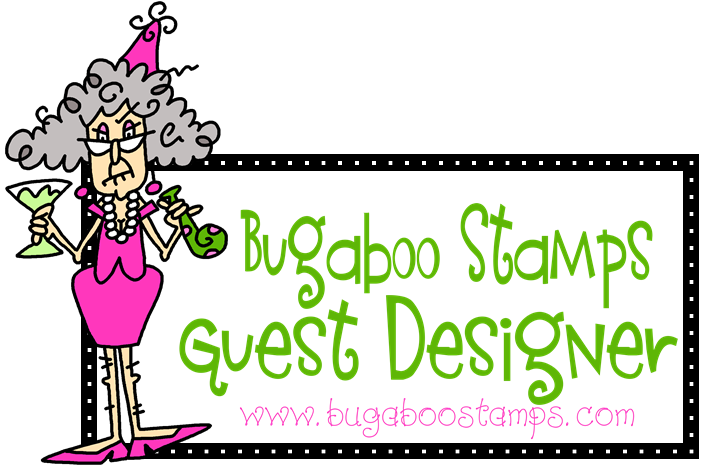 Drop on by Catch the Bug and check out what the other DT created and then start stamping you have two weeks! 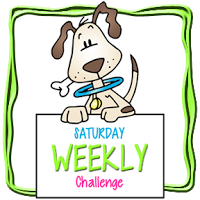 Good morning today starts another challenge at Catch the Bug and the theme is Back to Nature! I chose to use Bugaboo's Clyde Spring and coloured it in copics. 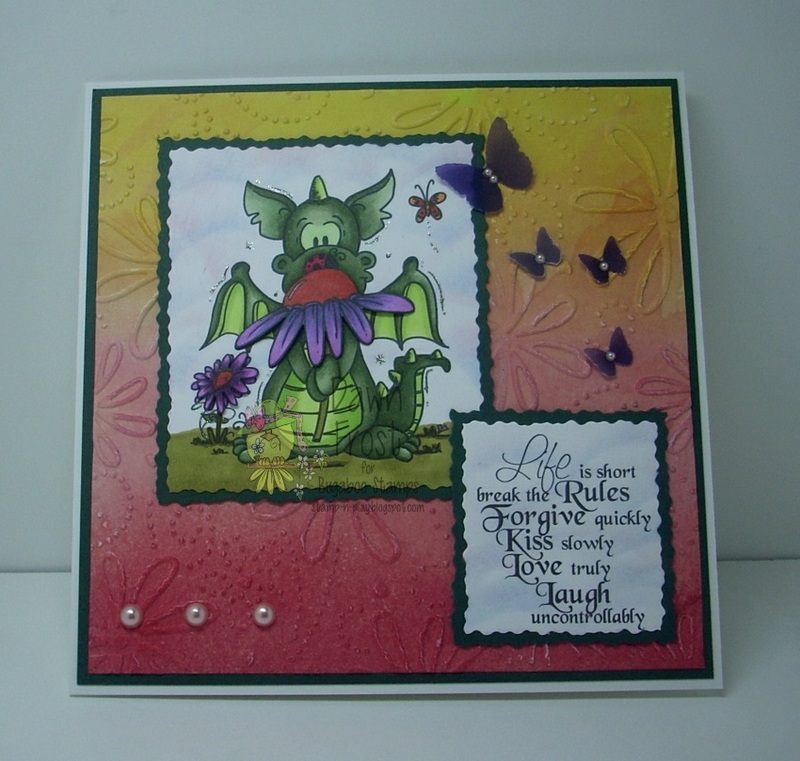 I added vellum butterflies with pearls in the centre. 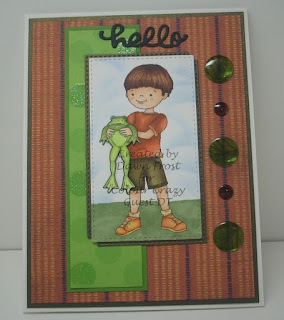 Drop on by Catch the Bug and check out what the other DT created and then start stamping! 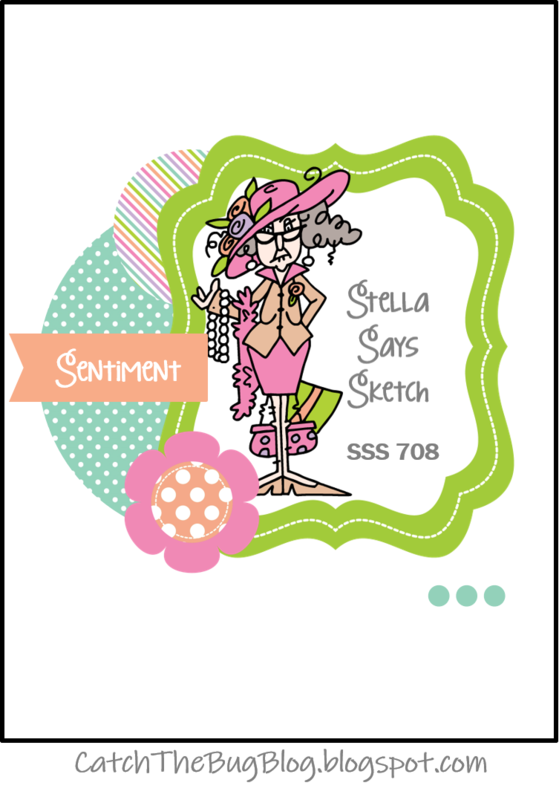 A Day for Daisies Stamps! The theme is anything goes as long as you colour it, please no pre-coloured images. I chose to use A Day for Daisies Daisy Bird Bath and popped up the daisies and butterflies! 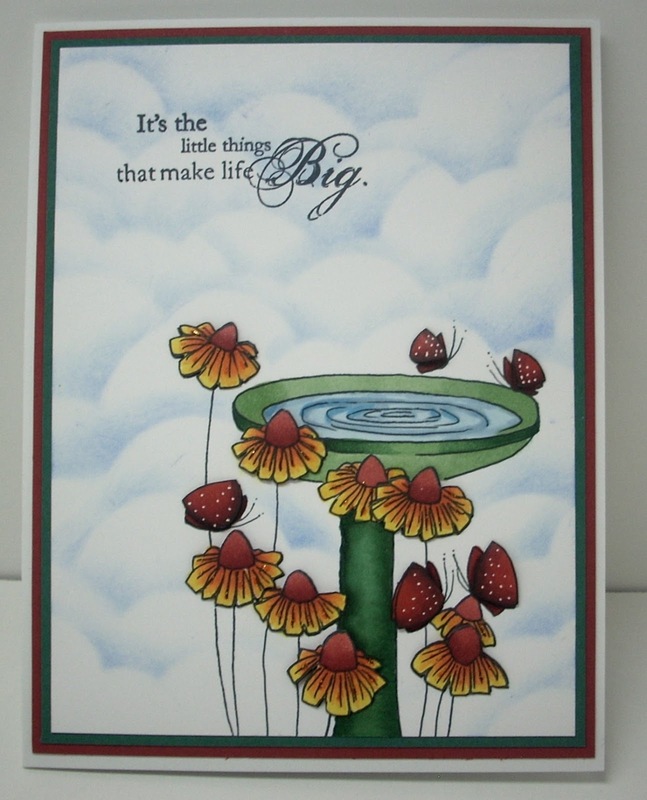 I used copic markers and added clouds and a sentiment. 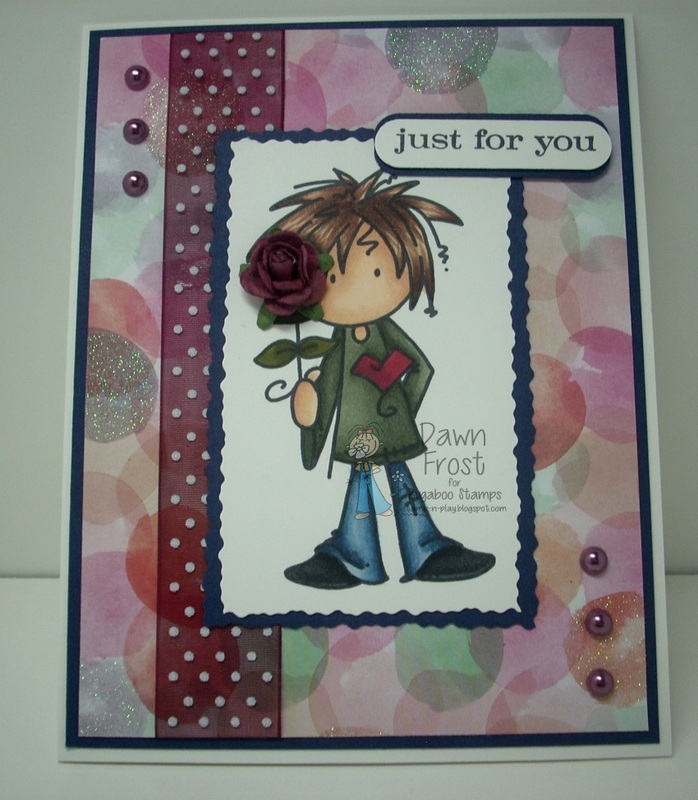 Drop on by Colour Crazy Craft Challenges and take a look at what the rest of the DT created and then start stamping you have two weeks to create! 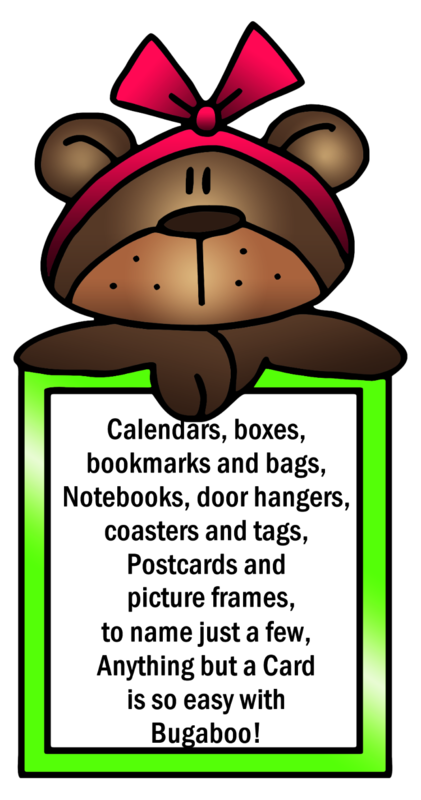 Good morning, today starts a new challenge at Catch the Bug and its anything goes! I chose to merge two images Spring Duck 2 with Ladybug Line, so sweet! Drop on by Catch the Bug and check out what the other DT created and then start stamping, you could win fantastic stamps! Fred She Said Designs! 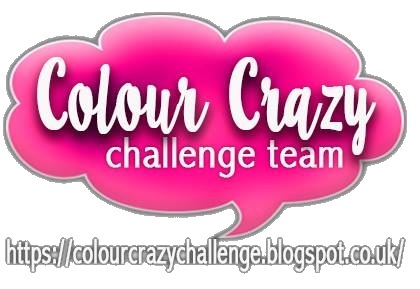 The theme is anything goes as long as you colour it, please no pre-coloured images. 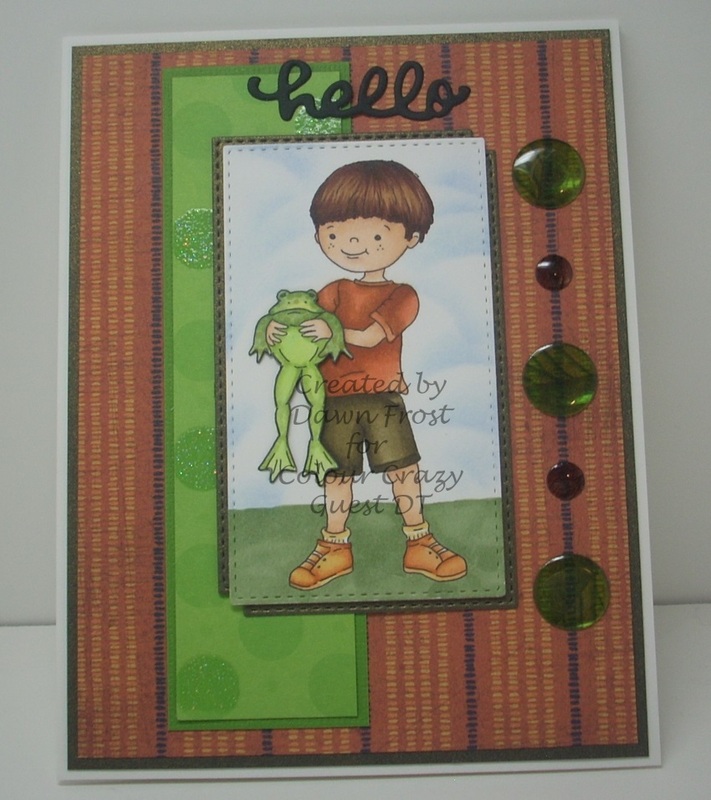 I chose to use Fred She Said Nolan and the Bullfrog and popped up the bullfrog. I used copic markers and added epoxy dots to finish it off! 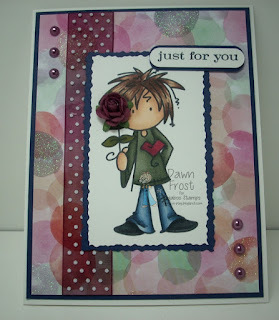 Drop on by Colour Crazy Challenges and check out what the other DT created and then start stamping you have two weeks to create! you what I made for two of my Best Crafting Buddies for Christmas, a quote jar. Ginger's House. 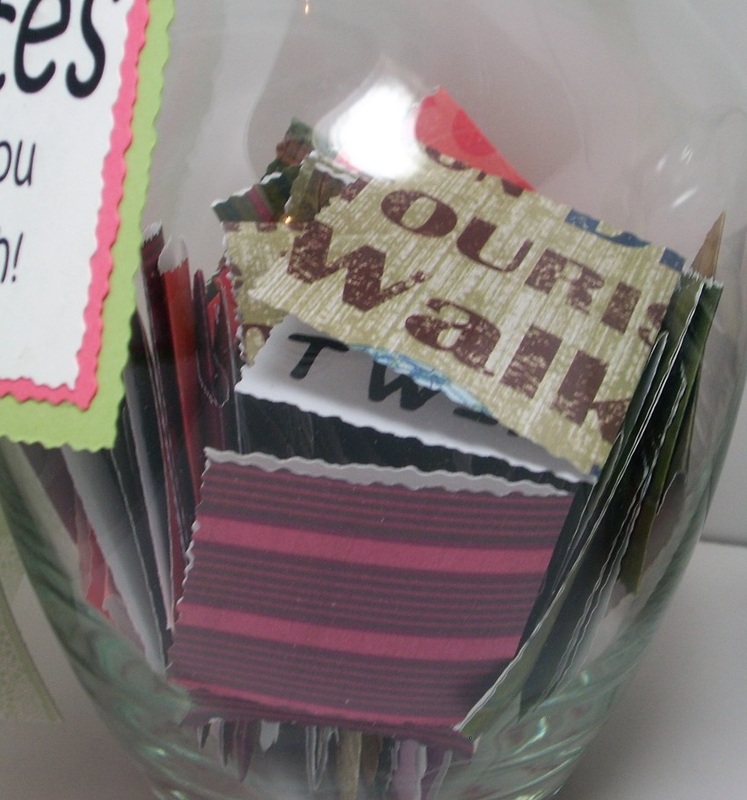 I used designer paper that was one sided, printed on the white and then cut them using a deckle trimmer. When my friends need a laugh they can grab a quote! 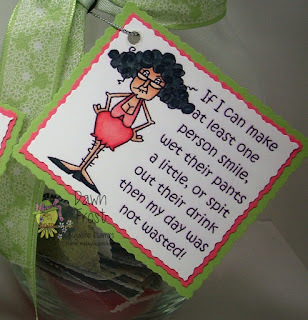 a tag for the jars! I'm a SAHM with adult children and a wonderful husband. 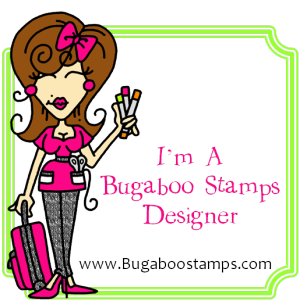 I'm able to stamp and play frequently much to the envie of friends, lol. 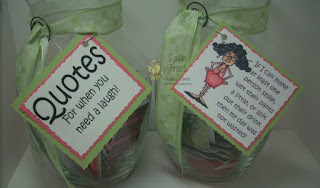 I love almost any form of craft and have done cross-stitch, knitting, crocheting, sewing, flower arranging, painting, etc.